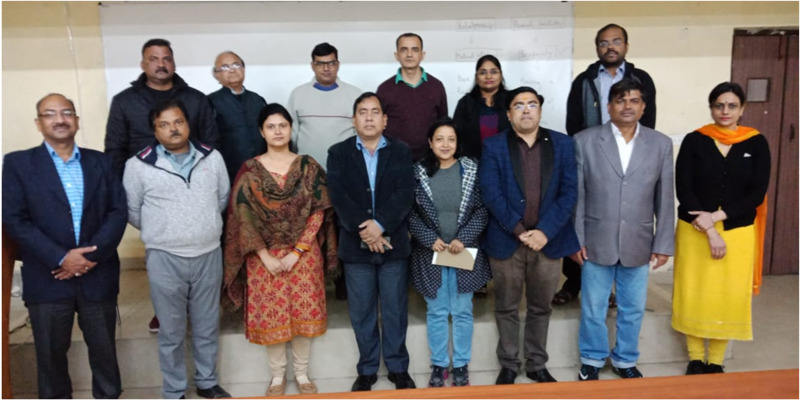 The VE cell is headed by Prof. Dr. Priya Srivastava. The Socio-economic & culture progress of any country depends upon its education system. Education does not simply mean acquiring knowledge & information but it also requires its right use within the frame work of ethics & values. Values are closely related with aims of education. Values are ideas, beliefs & norms that a society holds. Mere academic knowledge without deep rooting in human values will only give rise to personalities who may become rich in material possessions but will remain poor in self understanding, peace &social concern. "Excess of knowledge & power without values, make human being devils" --- Swami Vivekananda. In a sense Value education deals with what is universally valuable to all of us, what is conducive to our collective happiness & prosperity in a sustainable manner. The subject Value Education is a three credit course in B.Tech, MBA and MCA which is taught by this cell. The long history of mankind has seen a lot of progress .Though science & technology has led to continuous progress of mankind but we are still facing various problems at all the levels. The individuals are still confused with respect in lack of clarity on life goals, contradictions & stress. This subject deals with value education means it tells us ‘What is of value or what is valuable to a human-being’. Value thus provides the basis for all our actions and there is an essential relationship between values and skills, which needs to be ensured in any education system. Understand the need, concept and content of value-education in individual’s life and modifies their aspirations for happiness & prosperity. Comprehend the term self-exploration and its application for self-evaluation and development. Reconstruct the concepts about different values & discriminate between them. Analyze the concept of co-existence & evaluate the program to ensure self regulation. Identify the holistic perception of harmony at level of self, family, society, nature and explain it by various examples. Apply professional ethics in their future profession & contribute for making a value based society. 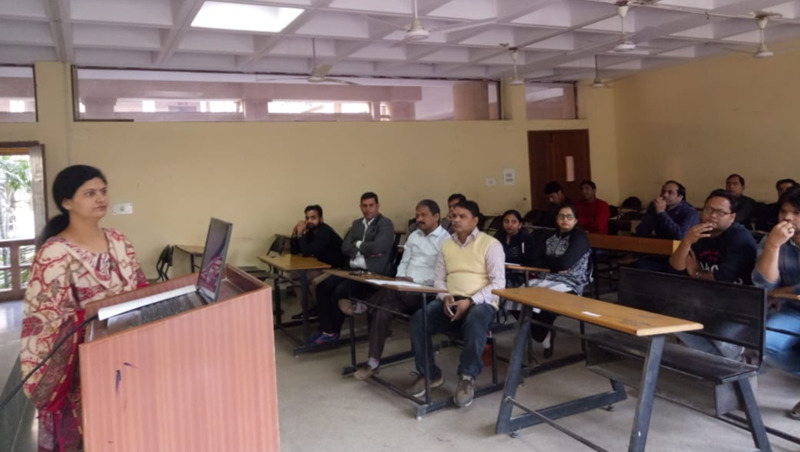 Value Education Cell GCET had organized a series of 3 day workshops on the topic "Value Education For Professionals: A Path Towards Personal Growth" for all the Faculty members, Hods & Deputy Hods of all the departments of the college. 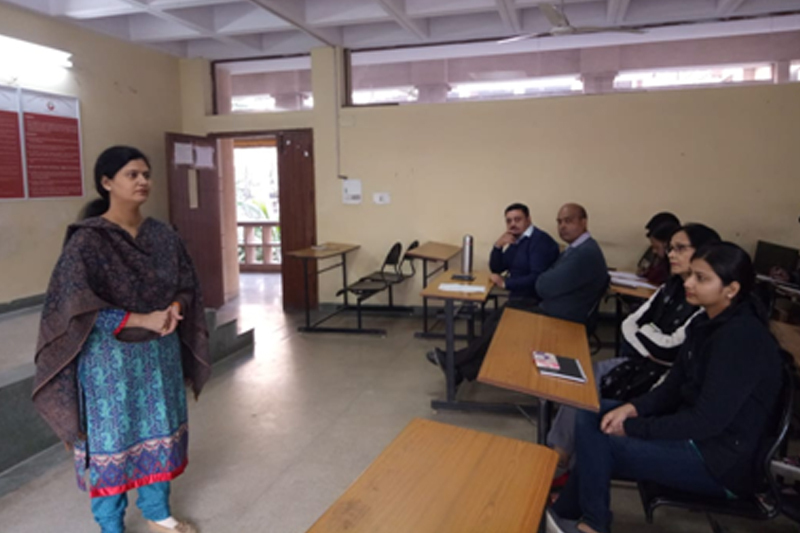 The workshops were conducted by Dr. Priya Srivastava, Head Value Education Cell. 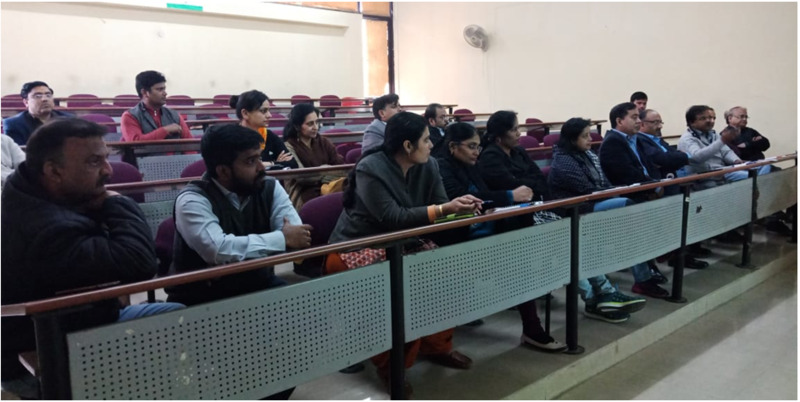 In the first phase of the series three workshops were held and more than 60 faculty members attended. 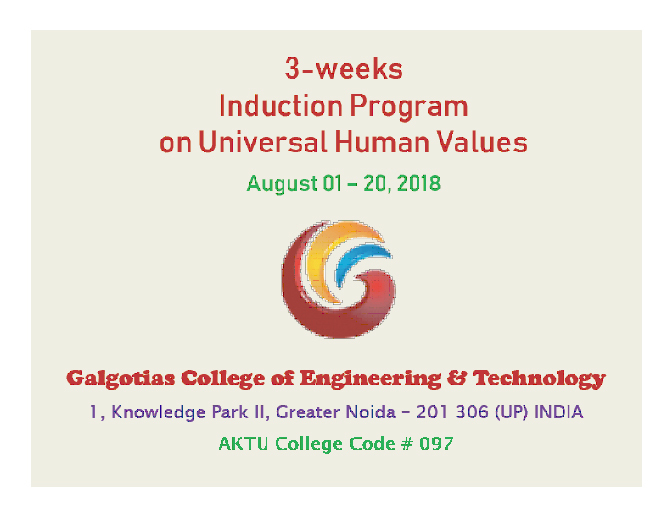 Activities coming up: Value Education Cell AKTU, Lucknow, is organizing a workshop on "Universal Human Values" through TEQIP-III for Deans, Hod's and senior Faculty members to ensure the value based inputs in the academic administration which will be organized in GCET from 15th Jan-22nd Jan 2019.